This brushed nickel ceiling fan features an energy-efficient LED downlight and dark walnut finish molded ABS blades. Five dark walnut finish molded ABS blades. DC 125 x 30 mm motor size. Full function hand held remote control with wall bracket included. Integrated 16 watt LED module; 2700K color temperature; 80 CRI. Light output is 1352 lumens; comparable to a 75 watt incandescent bulb. Fan height 13 1/4" from ceiling to blade (with 6" downrod). Fan height 15 1/4" ceiling to bottom (with 6" downrod). 56" and has a remote. Love colors. Can this light be dimmed? BEST ANSWER: Yes, the LED light is dimmable using the full function hand held remote. 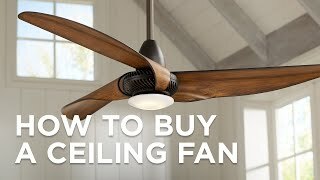 can this fan be used on a slanted ceiling? We put it on a sloped ceiling. I think we needed an additional slope adapter because of the angle of our ceiling, but cannot remember. It works very well and looks quite nice. .
Can this be mounted without a down rod? BEST ANSWER: No, a down rod is required to be used for installation. 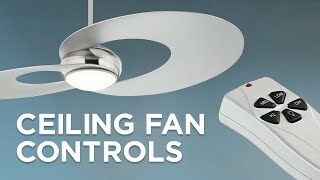 How much light does this fan provide? BEST ANSWER: The light output is comparable to a 75 watt incandescent bulb in a warm white color temperature (2700K). Is this fan outdoor rated? 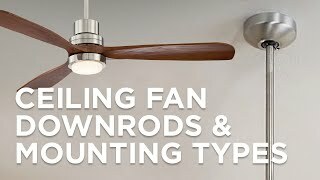 Can you buy an extension rod for this fan? Yes. This is the greast fan and light. 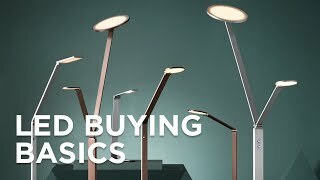 Lamps plus took care of the installation, at cost, but it's a great item. We bought two fans and love them so modern and with the light in the middle add so much to our bedrooms. 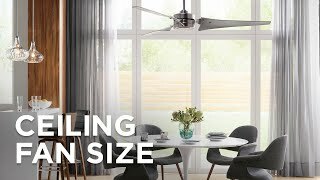 The Acero&#8482; ceiling fan by Minka displays an unparalleled contemporary design with an industrial safety cage look. 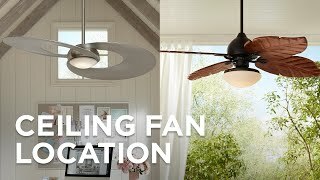 Energy efficientthis ceiling fan features a brushed nickel motorfive medium maple/dark walnut bladesand an integrated LED light. Enhance the way you relax in comfort in any indoor space with this LED ceiling fan attached at the center of the room.